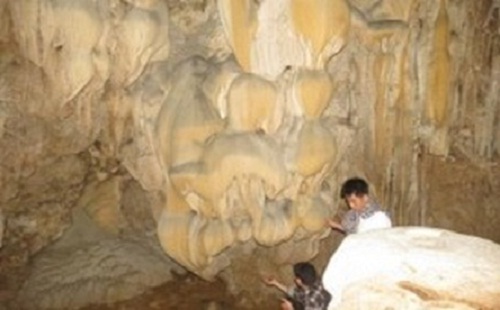 Qua Vang cave (Gold Fruit cave)is detected in pristine condition, no impact, human encroachment. 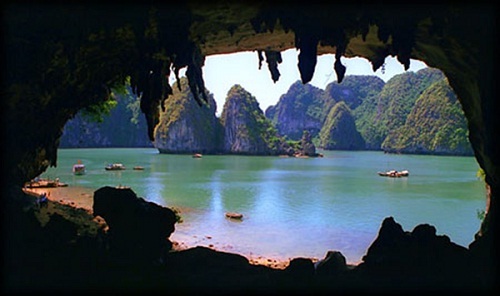 The cave has a height of about 25 – 30 meters, 30 meters wide, nearly 100m deep. 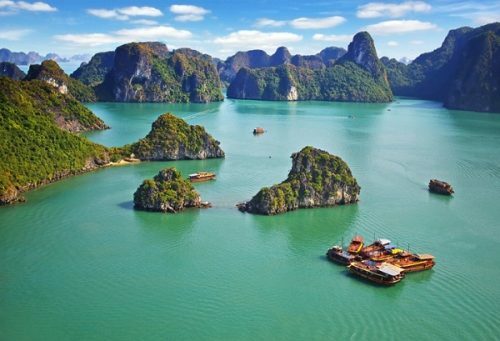 The local government rated it as one of the most beautiful cave in Halong Bay area and Cat Ba Island by the diversity of natural architecture created. Cave is divided into two chambers, each chamber has a different type of stone intact as its initial capital. Compartment with stalactite shimmering glow when light shines through, the dynamic flat floor, walls and ceiling are numerous cave stalactite shapes. The second like an exhibition hall showcasing the sculptures of the artist shaping extremely talented and gifted. 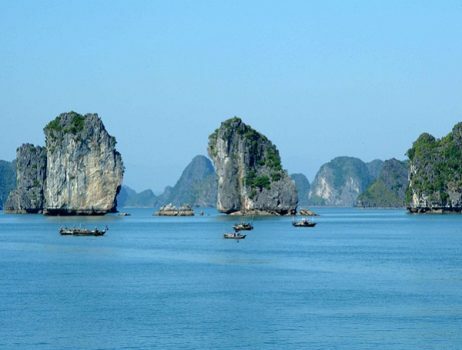 Dragon is divided into three zones work in relative isolation, with stalactite hangs layers from millions of years ago, the little cup of cool water drop, limpid. Especially, many animal shapes giant stalactites created by upturned snout like a lion, like to say “hello” in a friendly way, create excitement for guests. Bo Nau cave has cleft form, is about 200 m2, wide bottom of the hole, flat but not deep, has many stone walls. On the cave ceiling cracks should light that can penetrate into the cave. Waisted bottom of the cave, the cave ahead is an island of light in the cave should never bright. Shop three stones shaped like his first three are bunched together in the top two positions is chess and a referee. 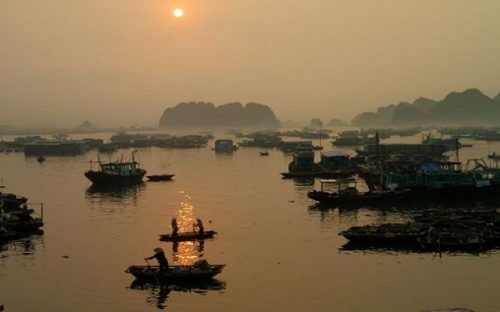 Bo Nau cave is one of the beautiful caves of Halong Bay, where this is the source of inspiration of how the photographer by the beauty of it. 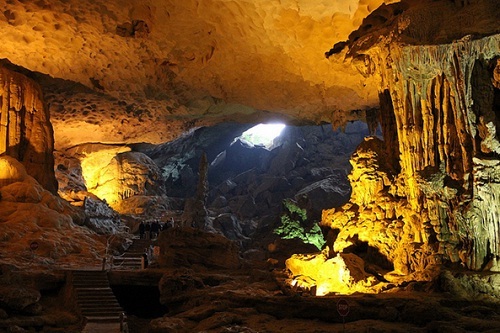 Kim Quy cave is located on the island, with 187m high mountain peaks, the island Dam Bac, the rear is Soi Rim islands. 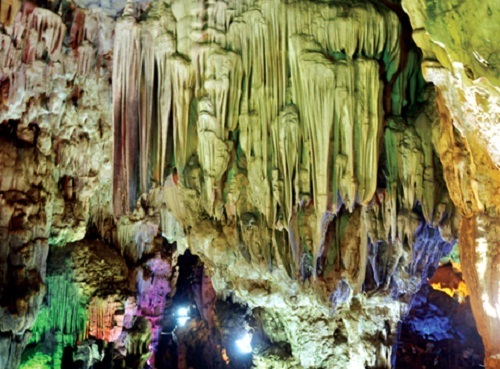 100 meters long and has a dynamic small road leading to the above, there are four seasons here murmuring water, stalactites are formed from membrane ceiling hangs down in such a beautiful curtain. 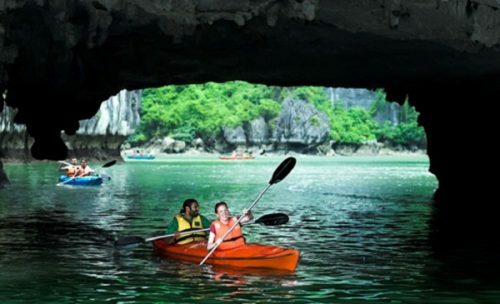 There are many caves and lots of other beautiful caves waiting for you to explore.